Come and hear how real contentment is found in a culture that is always pushing us for the next greatest thing! Life is all about achieving that place where we've got it all, enough money so we can sit back, relax and be content right? Nup! Headstart is a chance to catch up with friends who are also just starting out in the working world, and to learn from others who a just a bit further down the track to us. The working world seems to be a cut-throat, dog-eat-dog world. A place where nice guys finish last. Is there place for living as a Christian in this kind of world? Come and hear from a director of a major accounting firm who has experienced how working God's way isn't just pleasing to God - it also works in the real world! Headstart is a chance to get some real skills for the first few years of work. Headstart: What does your manager want from you? What does my manager want me to do? What are their expectations? What's going on in their head? Navigating the first few years of work can be tricky, particularly working out your relationship with your boss. Let us help you uncover some of the things many young workers need to do well (and avoid doing) to serve our bosses well. 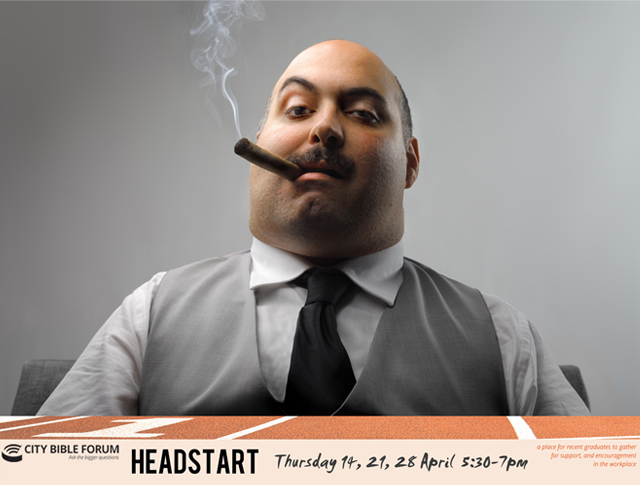 Read more about Headstart: What does your manager want from you? "Above all else be true to thyself." But does it work? Does it really bring happiness? Or is it a trap? "Above all else be true to thyself." But does it work? Does it really bring happiness? Or is it a trap? Sam Chan explores how we often fail to find happiness when we are true to ourselves and how living for something bigger than ourselves might just hold the secret to true happiness. Have we misunderstood true freedom? Our modern idea of freedom doesn't seem to deliver happiness, have we misunderstood true freedom? Sam Chan explores how freedom needs to be rightly understood if we are to live the lives we were meant to live. What if the thing holding us back from happiness is we've misunderstood what success looks like? What if the thing holding us back from happiness is we've misunderstood what success looks like? Sam Chan gives us a window into how redefining success means we can have happiness. WORK. We always hope it might change for the better. But it never seems to. What we need is a new way to think about work. Could there be a new way to think about work? Sometimes work is wonderful but often it is difficult and frustrating. It doesn't seem to deliver what we hope for. So what do we do? We change jobs. And what happens: the new job turns out to be difficult and frustrating. Perhaps we need a new way to think about work. Join us for three talks that explore God and work, with our speaker Glenn Hohnberg. Could this be a new way to work? Has Adam Hills found the keys to happiness? I’m a great fan of comedy. In many ways our comedians reflect back our values and worldviews – “it’s funny ‘cause it’s true”. The other night I watched some of Adam Hill’s Happyism from the 2013 Edinborough Comedy Festival. Do you want to stay connected with other Christian young workers across the city? Do you want to get ahead in the workplace? Want to survive your first few years at work, even thrive? 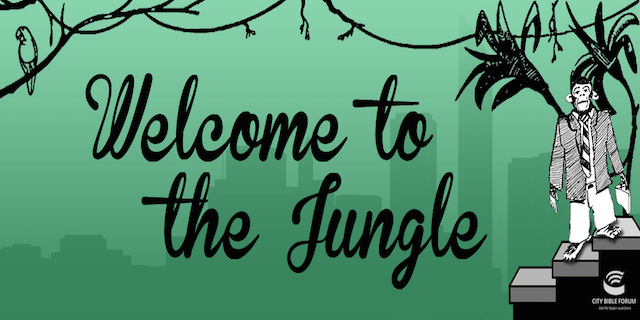 We're launching Thursday 3 March, Welcome to the Jungle! 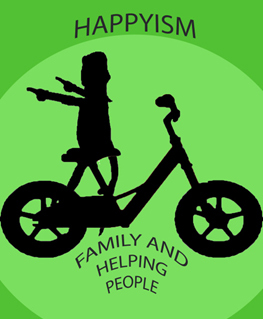 How can we find happiness in life?